This table is 16' long out of reclaimed redwood with a metal base and truss! 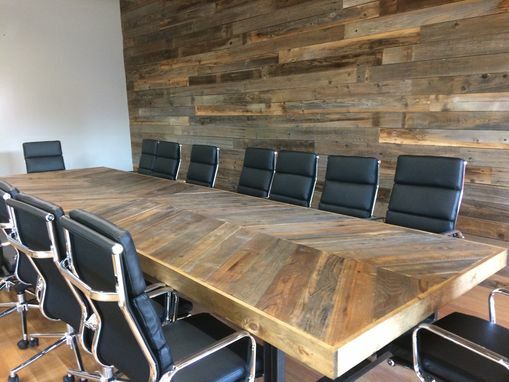 We can create this table in as short as 5' to as long as 24'! Inquire today what we can build for you! 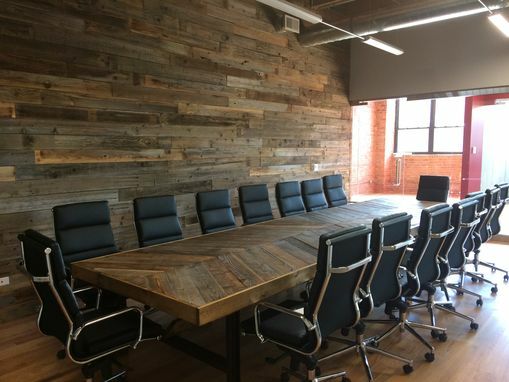 We needed a large table (18 ft) for our executive conference room. I search all over the place. One search lead me to Coastal Country Creations. From my first email with them I knew we would be getting a great piece. Lisa was very prompt in corresponding with me and our table arrived today and it is beautiful. We love the rustic yet modern look to it. Quality product and delivered as expected.